Let us help you size a Flygt pump in Wisconsin or in the Upper Peninsula of Michigan today! Founded in Sweden in 1901, Flygt is the originator of the electrical submersible pump. Today Flygt customers have access to a complete range of products and solutions for moving water and wastewater, as well as advanced monitoring and control equipment to optimize performance and energy efficiency. Flygt pumps and mixers are ideal for everything from the toughest applications in wastewater, storm water, effluent, RAS and WAS, to lightly contaminated water and clean water applications. The 2000 series pumps gives you a wide selection of submersible pumps that are robust, mobile and truly versatile. For decades now, these pumps have offered reliable solutions to tough pumping challenges within a wide variety of applications such as construction, food and beverage, general industry, marine and mining. Flygt 2000 series pumps easily handle mechanically abrasive or fluids laden with particles. 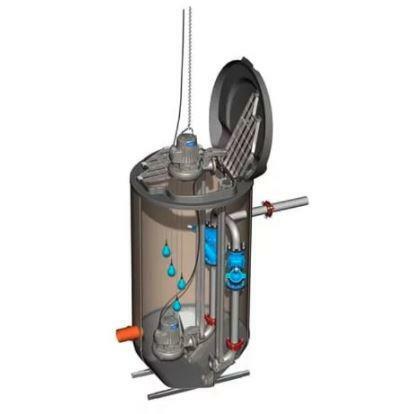 Here’s a submersible pump that is specifically designed for wastewater containing solids that need to be macerated. The impeller is equipped with a grinder device. Equipped with a 50 Hz squirrel-cage induction motor. 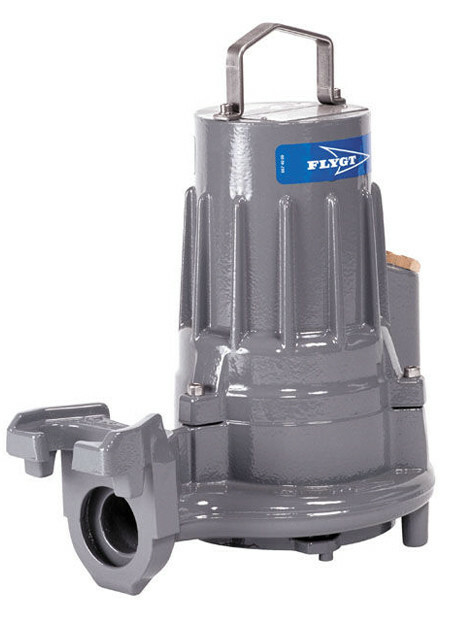 Flygt’s 3000 series pumps are non-clog pumps suitable for handling solids-bearing liquids in a variety of applications. The pumps cover an extensive performance range and are classified as low, medium or high head pumps. They are submersible, close-coupled single-stage centrifugal pumps. Each pump model is designed around a common motor frame that utilizes different hydraulics to obtain the desired flow/head characteristics. Typical applications for the 3000-series pumps provide transportation of solids-bearing, water-based liquids, such as sewage in municipal and industrial wastewater collection systems at wastewater treatment plants and at storm-water and surface run-off pumping stations. 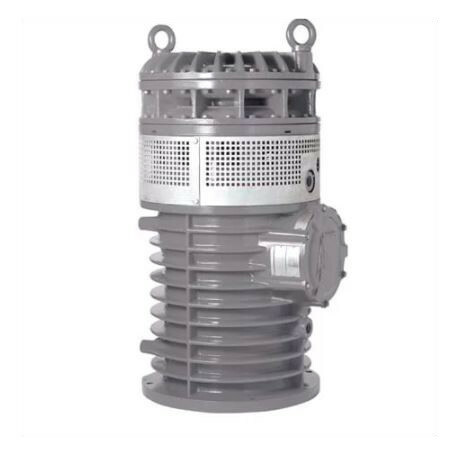 They are also widely used in residential, commercial and agricultural applications such as small lift stations, grinder pump installations, building wastewater sumps and manure pumping. The 3000 series also features Flygt’s N-technology that provides customers with sustained high efficiency, improved reliability and reduces the number of service call outs. N-technology has clog resistant performance and a patented, mechanical self cleaning design. Chopper, grinder and vortex options are available. Flygts’s complete line of compact mixers, top-entry mixers, mid-size and slow speed mixers all feature state-of-the art propeller designs, assuring optimal efficiency for your specific application. Compact Mixers: 4600 Flygt series of direct drive, stainless steel mixers provide cost effective mixing solutions for solids suspension and liquid blending. Slow Speed Mixers: Gentle mixing of large volumes can be achieved at impressively low power consumption with the 4410 and 4430 Flygt mixers. They are equipped with gearbox and a large diameter propeller. Submersible Mixing: Provide the most energy-efficient solutions compared to other alternatives. All submersible mixers generate a jet. By utilizing the freedom in submersible mixer positioning, the jet is allowed to develop and create an efficient mixing of the entire volume. 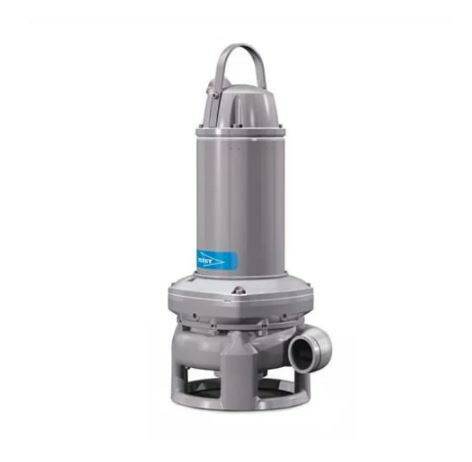 Rugged reliable and cost effective, the Flygt 5000 series of submersible slurry pumps handle transportation of the most abrasive solids that are suspended in liquid. They can easily handle extremely abrasive slurries containing sand, gravel, grit or ash without damage. These pumps are cooled wither by the surrounding liquid or, in more demanding applications, with an internal closed-loop cooling system. The Flygt 7000 series pumps have been developed for highly efficient pumping of large volumes of storm-water and clean water at low heads. They are submersible, close coupled single stage axial flow pumps. 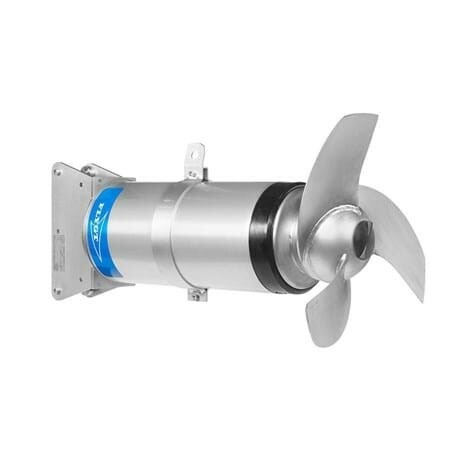 Each pump model is designed around a common motor frame that utilizes different propeller profiles and blade angles to obtain the desired flow/head characteristics. Typical applications for the 7000 series pumps provide transportation of clean, as well as solids-bearing, water-based liquids. Common examples are municipal, commercial and industrial storm water collection systems, effluent pumping at wastewater treatment plants and raw water intakes. In addition to the above applications, the 7000 series pumps are highly suitable for many pumping applications in the recreation and amusement park industry. 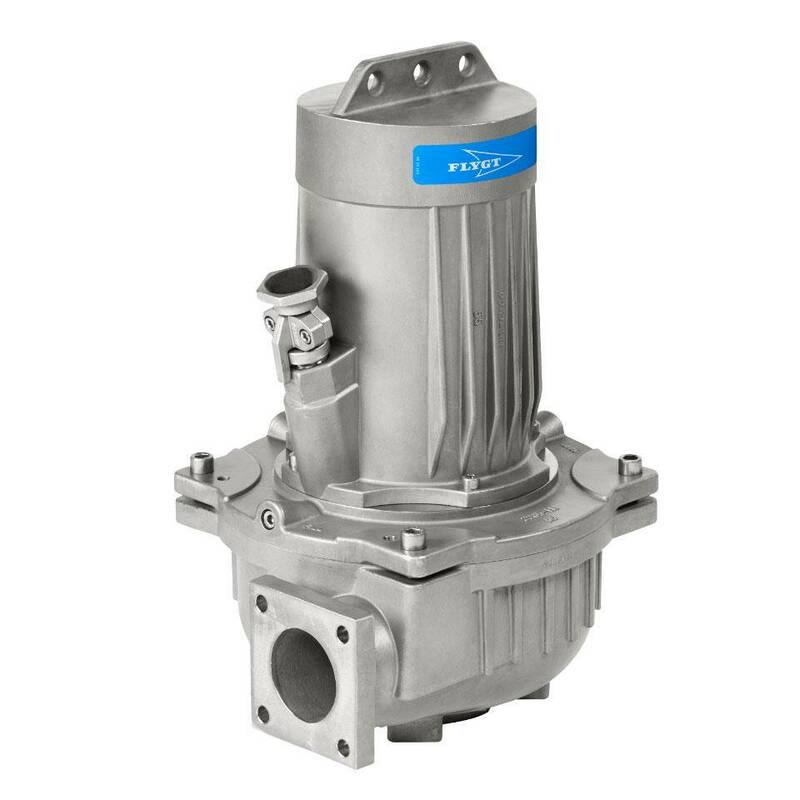 Flygt 8000 series corrosion resistant pumps are dewatering and wastewater pumps constructed of stainless steel for corrosive liquid applications where aluminum or cast iron is not recommended. Xylem Water and Wastewater has developed a comprehensive range of pump control panels from the simplest type with basic start and stop functions to highly sophisticated, intelligent Smart panels using state-of-the-art monitoring and control systems, developed by Xylem. 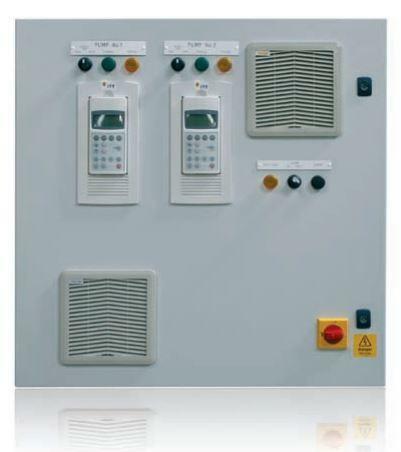 Incorporating Xylem pump controllers into their standard panel, they have utilized their wealth of knowledge with regards to pumps and fluid handling to produce an intelligent product that ensures your pump station is working to its optimum performance, monitoring, recording and alerting you to any potential issues. For full remote control of your pump stations, it is essential that you are connected to a SCADA system. They have developed what’s called ‘AquaView‘ and this system can reduce operation and maintenance costs by providing you with a complete picture of your system. Flygt Packaged Pump Stations are prefabricated and available in a range of designs and sizes, all supplied complete with the necessary materials and equipment to allow ease and speed of installation and commissioning. They use a simple, minimal design concept ideal for civil works, which require the reduction of labor-intensive tasks and quick installation. Every Flygt station comes preassembled with Flygt discharge connections, valves, discharge piping, with inlet and outlet connections that meet your site requirements. Stations are made of either glass fiber reinforced polymer (GRP), a strong, lightweight material with superior resistance to corrosion, or poly-ethylene (PE) for smaller stations. Installation of the pump station and Flygt pump is quick and easy.